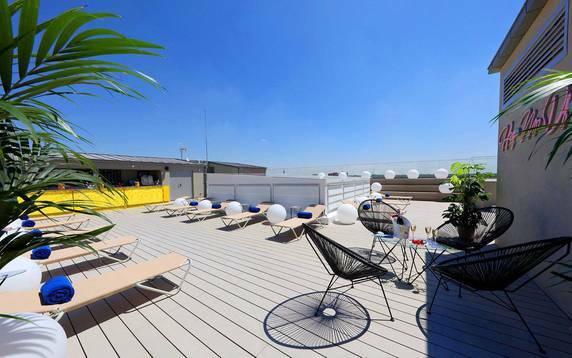 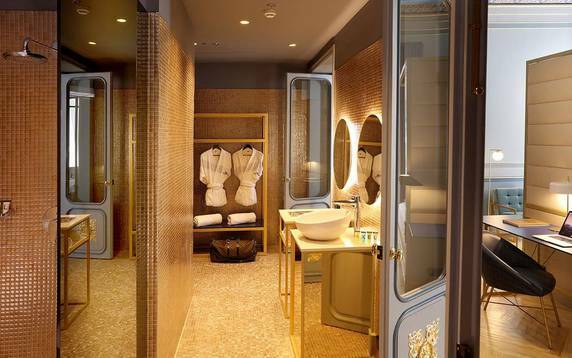 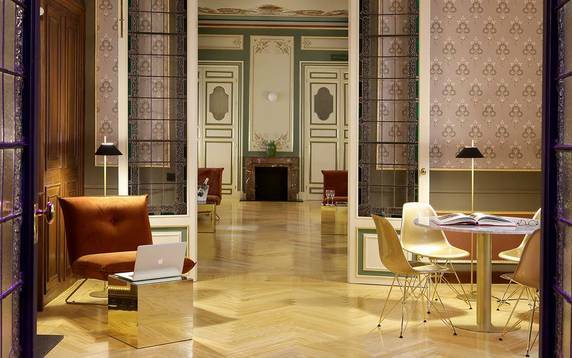 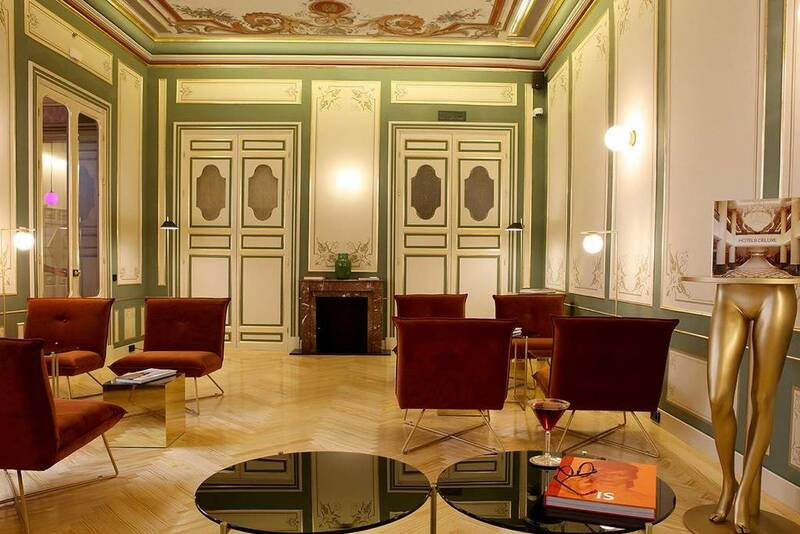 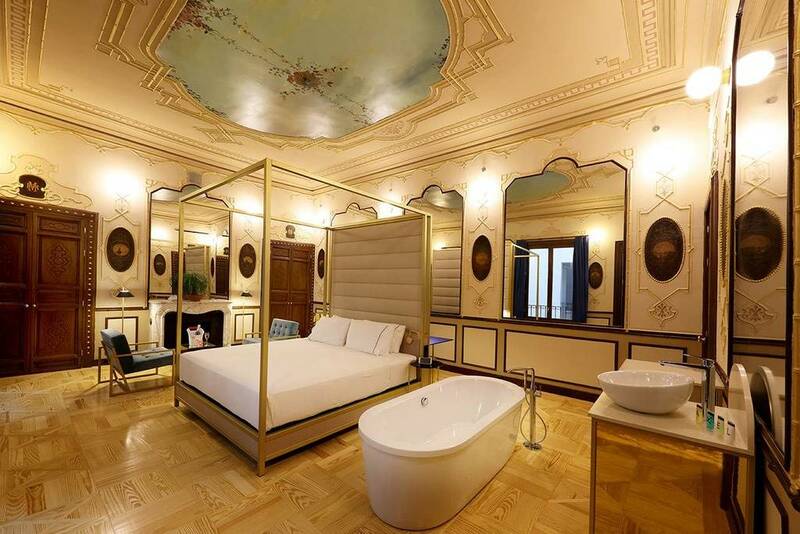 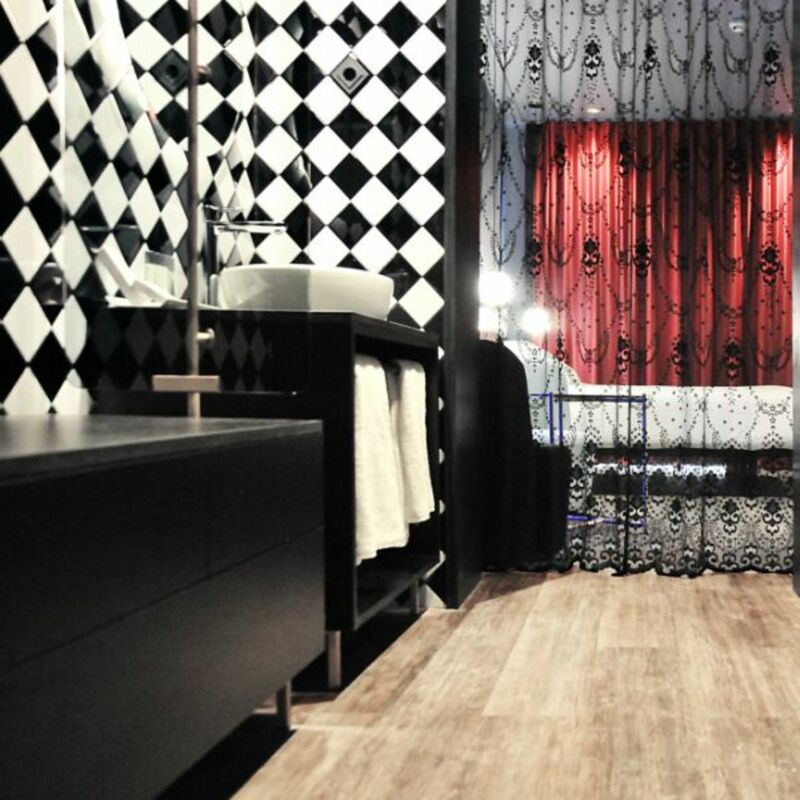 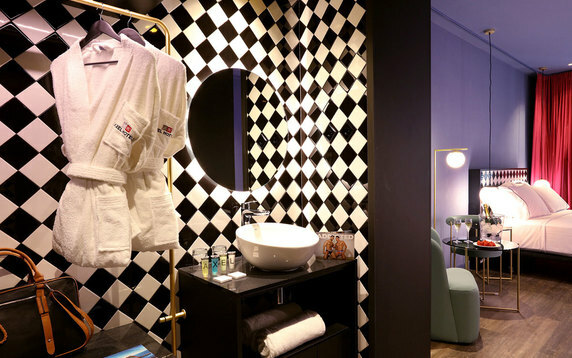 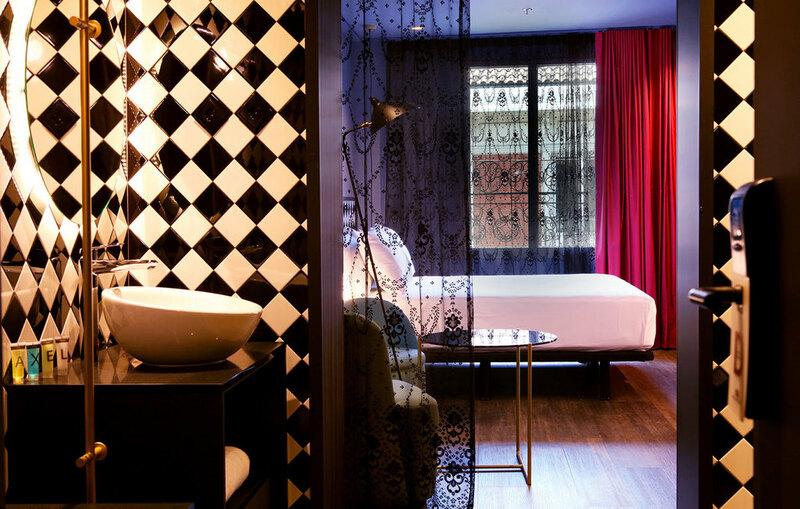 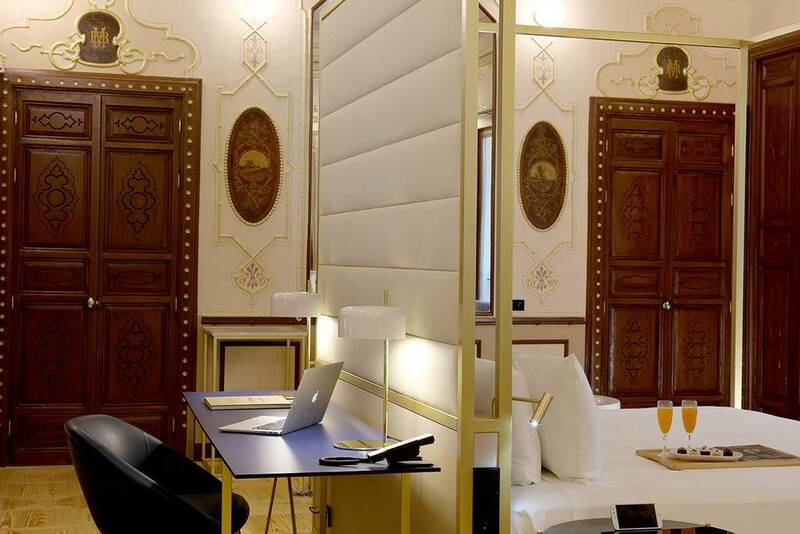 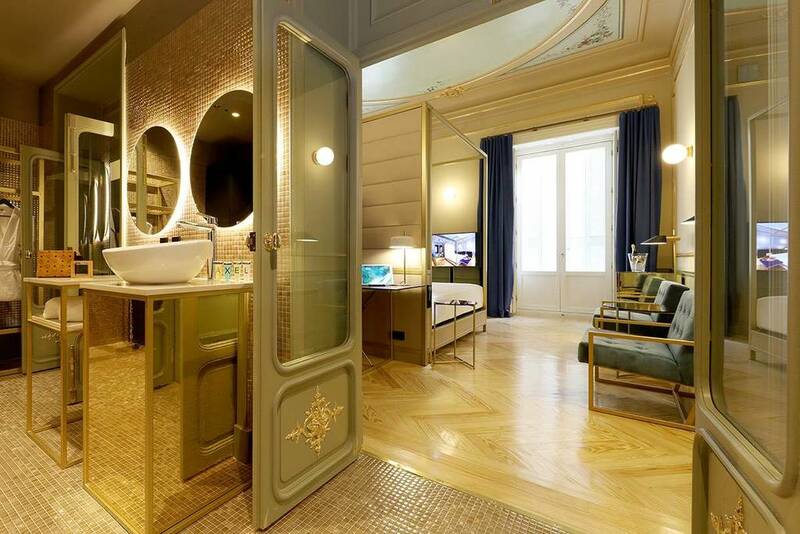 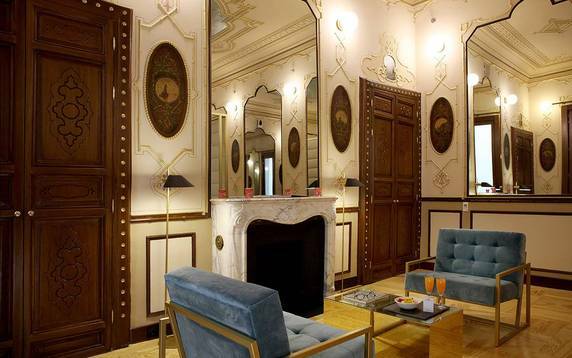 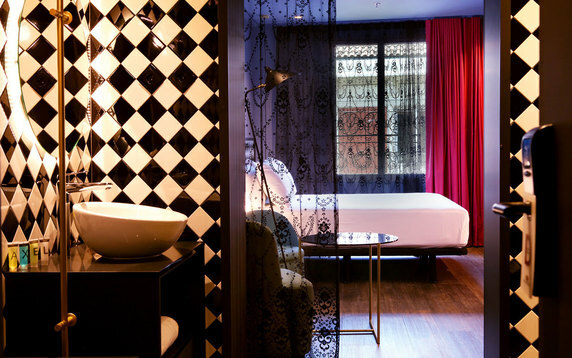 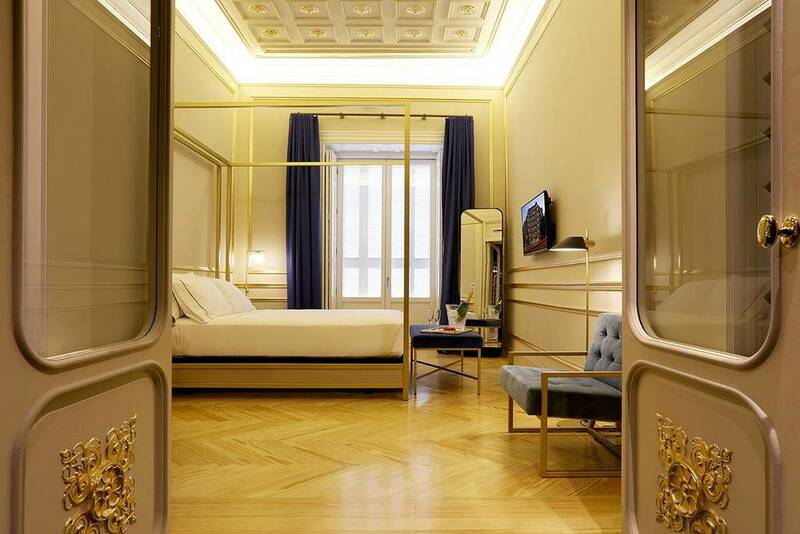 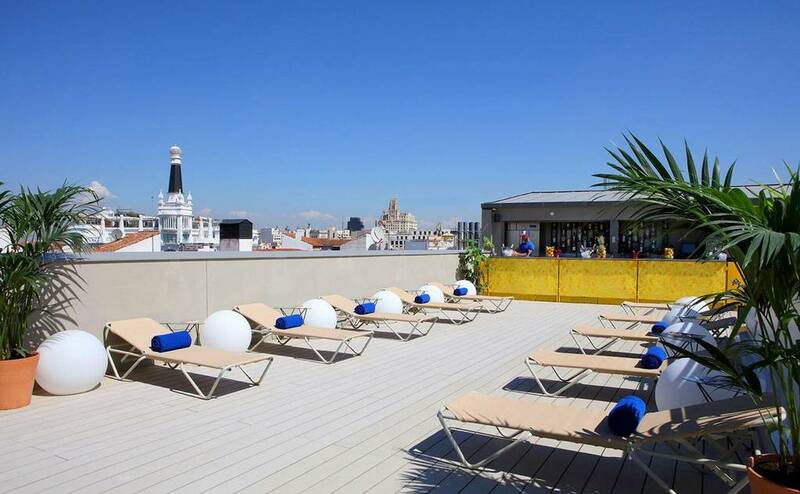 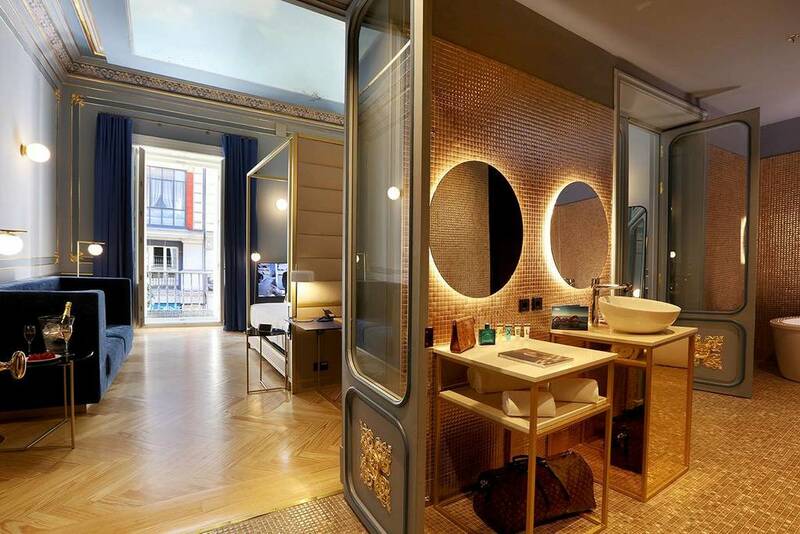 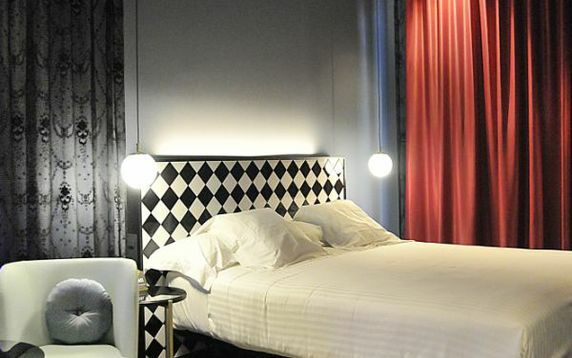 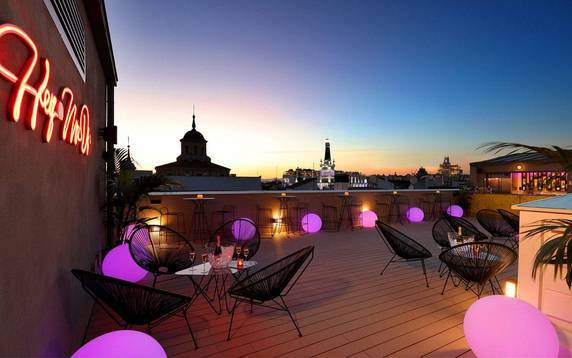 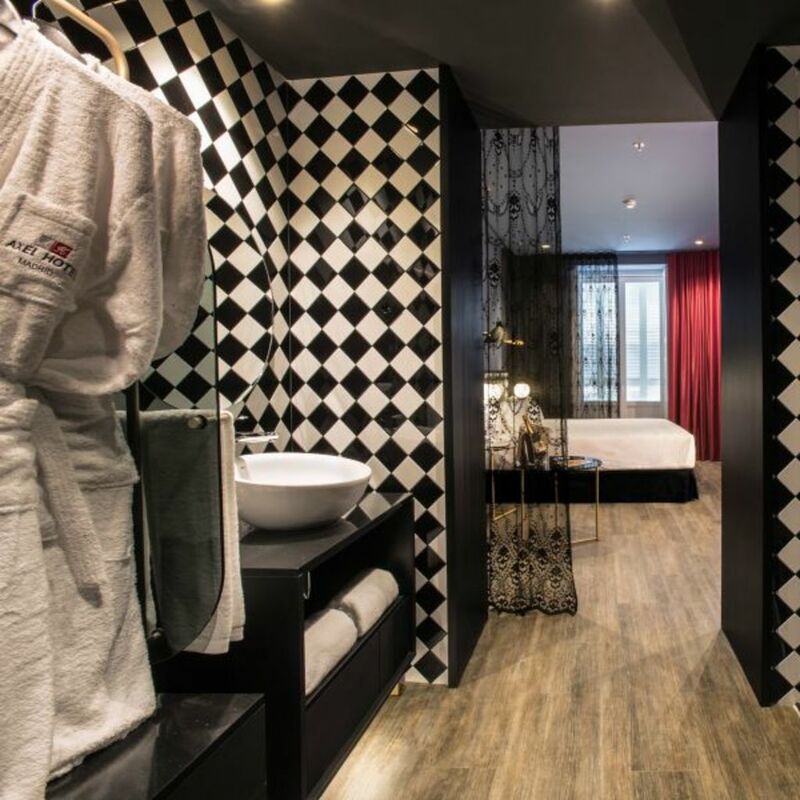 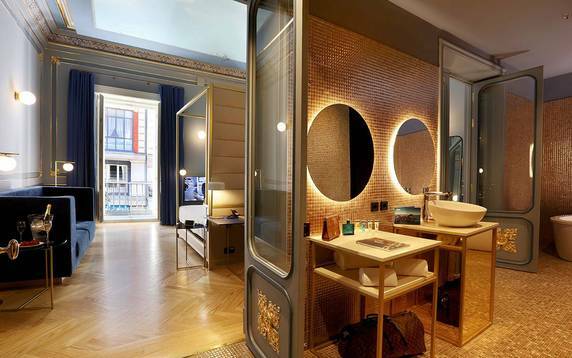 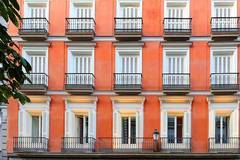 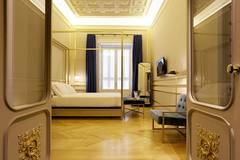 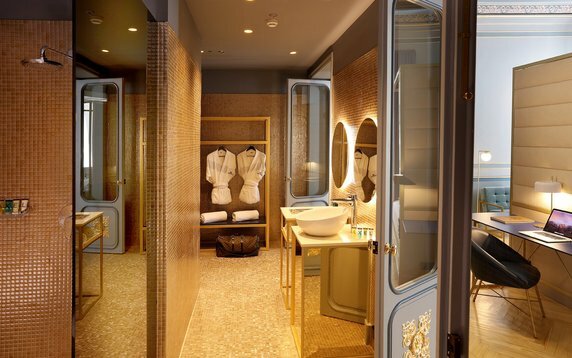 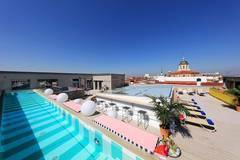 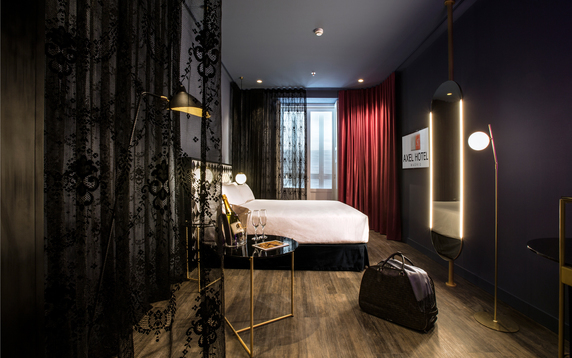 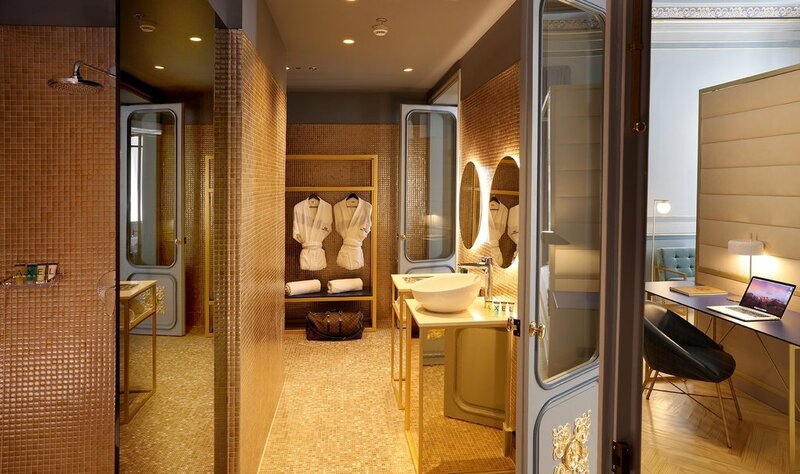 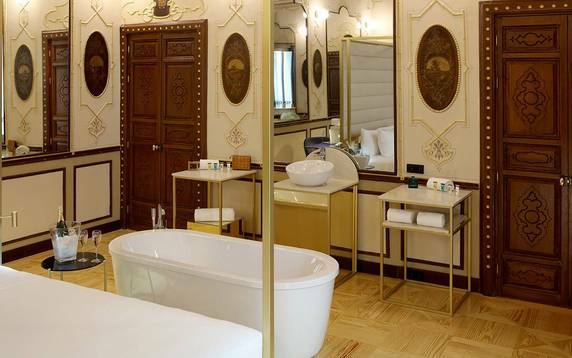 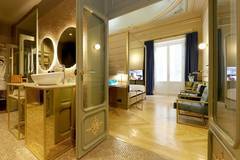 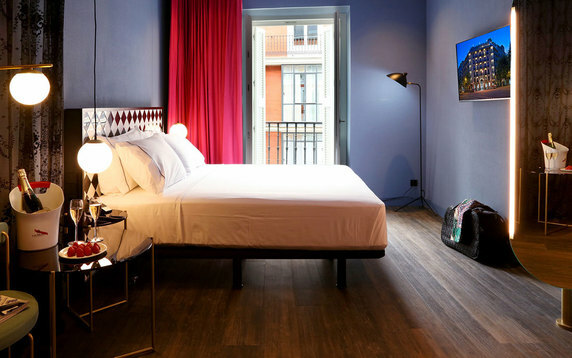 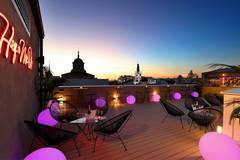 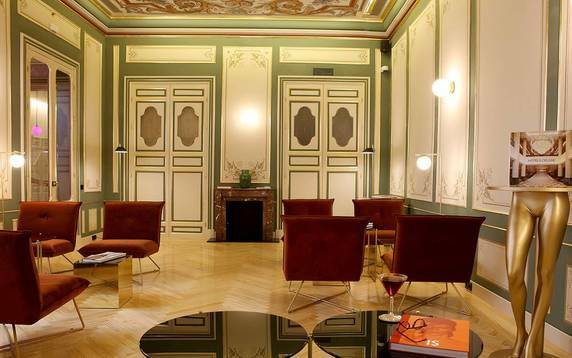 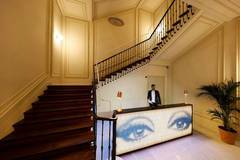 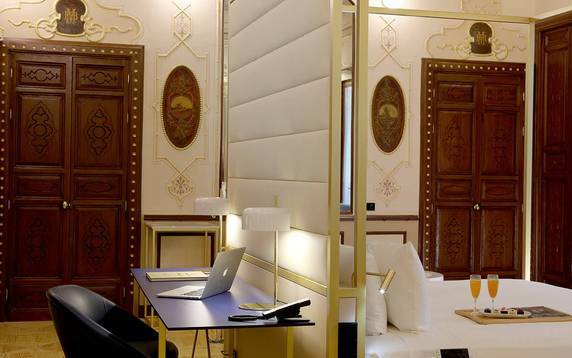 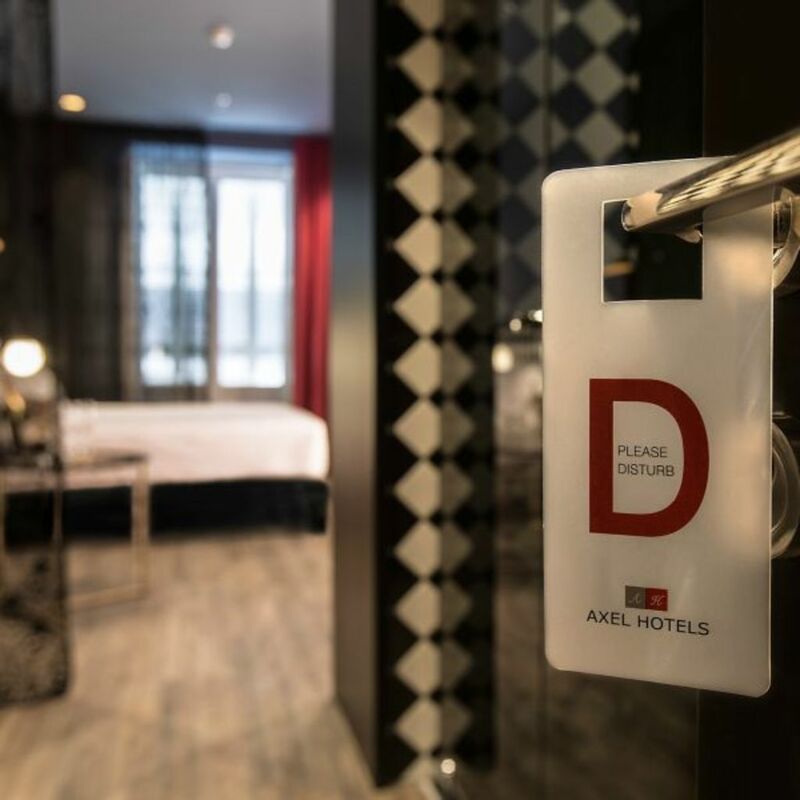 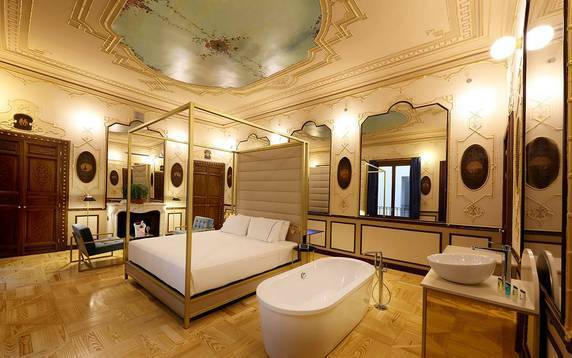 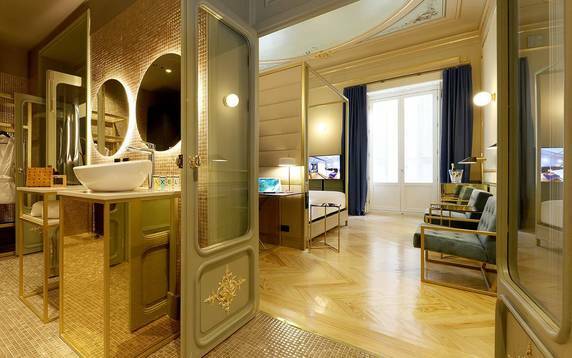 Axel Hotel Madrid is the newest in the gay owned boutique hotel collection, Axel! 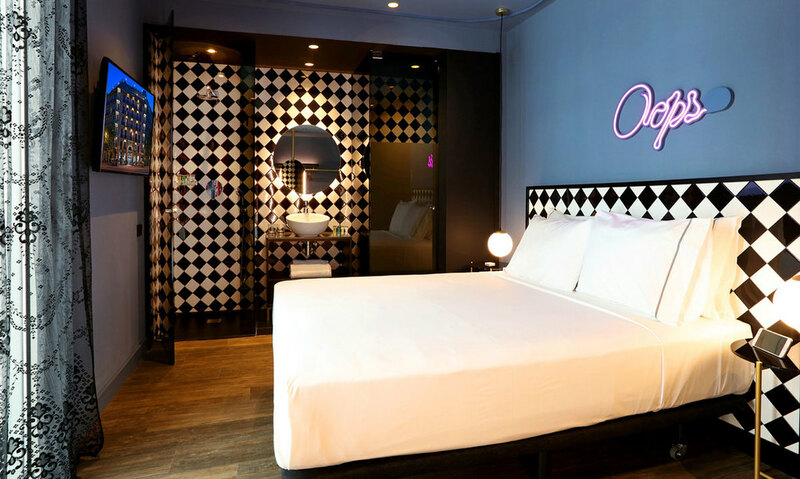 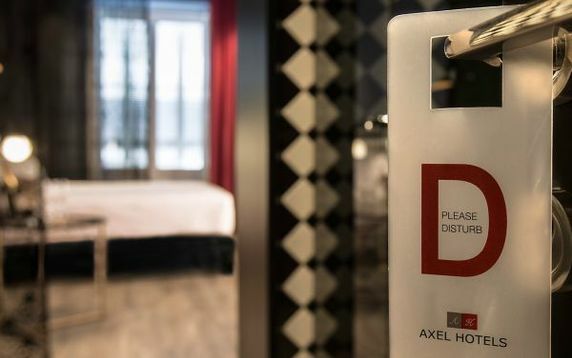 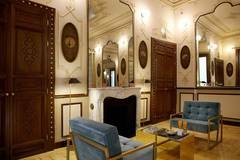 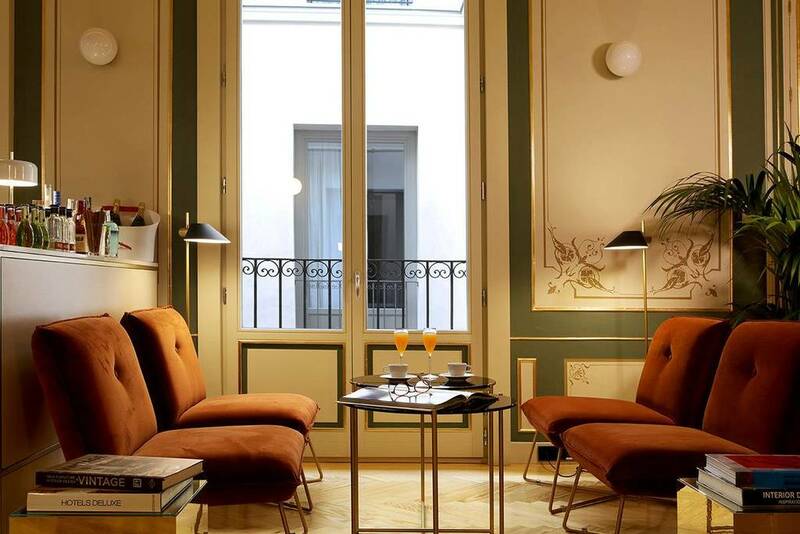 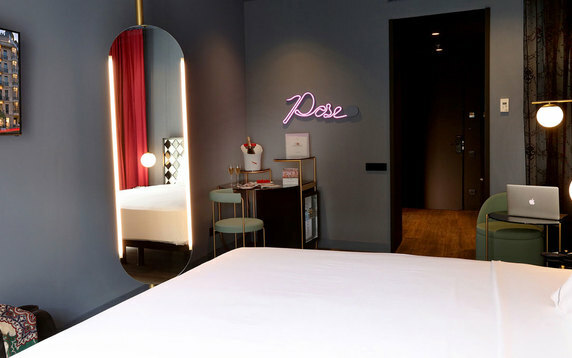 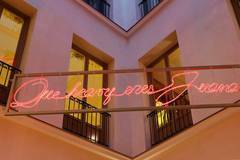 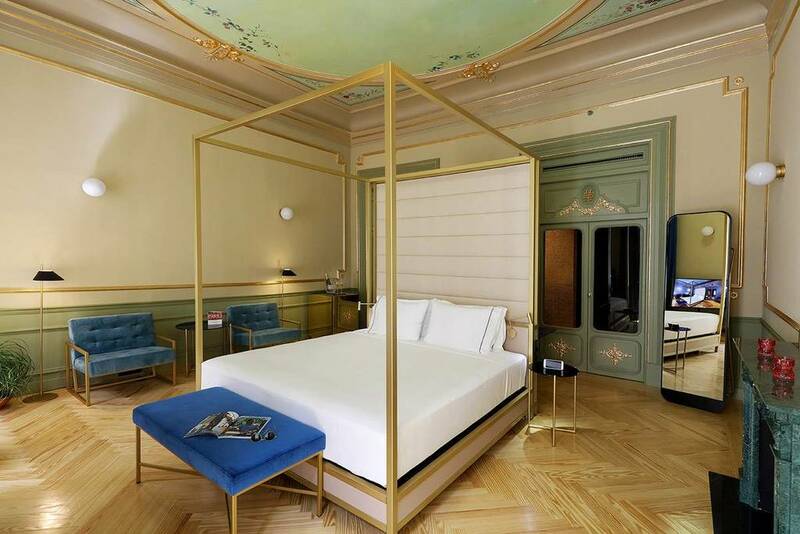 The property is for the gay community but everyone is welcome when they coined the word "heterofriendly" in 2008 when their first Hotel - Axel Hotel Barcelona opened. 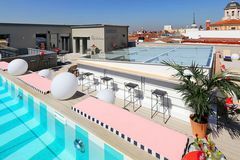 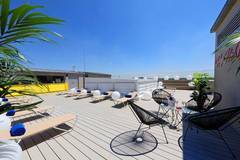 Since then hotels opened in Berlin, Buenos Aires, Gran Canaria, 2nd properties in Barcelona and Berlin, Ibiza and now Madrid. 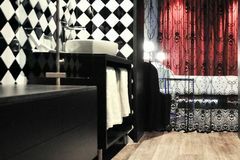 MyGayGetaway loves their CEO and his vision for the brand. 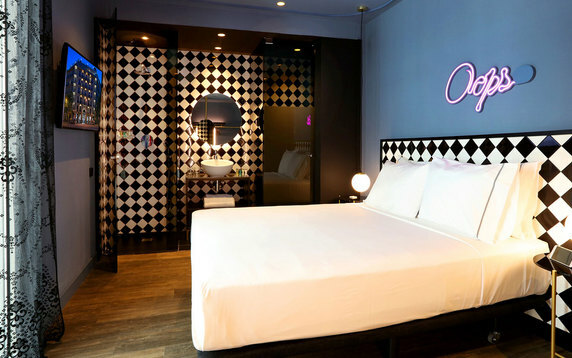 This is a hotel brand FOR THE GAY COMMUNITY although all are welcome. 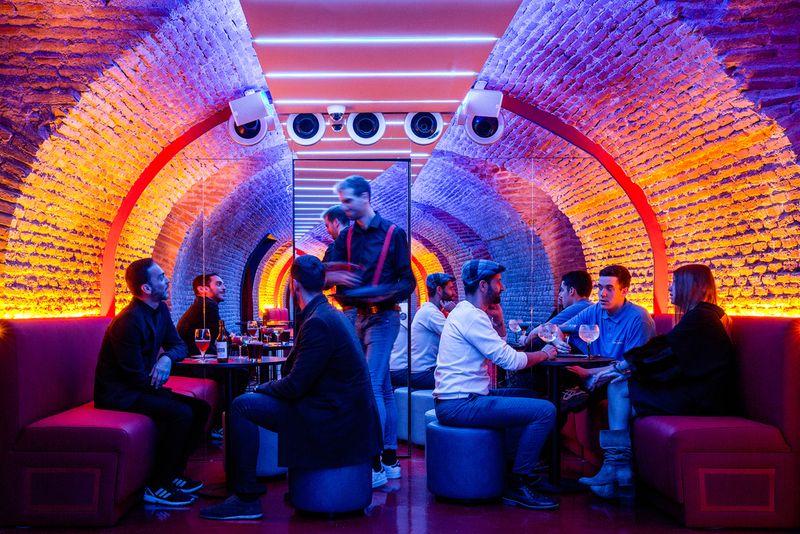 And they do not shy away from the gay traveler. 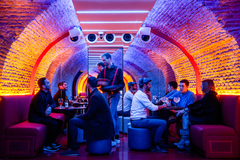 Their marketing is very bold as it is one of the very first brands to use LGBT individuals in almost all of their online and print images. 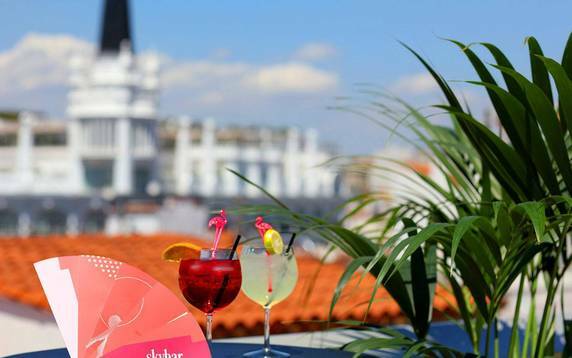 It is a brand who knows the LGBT traveler. 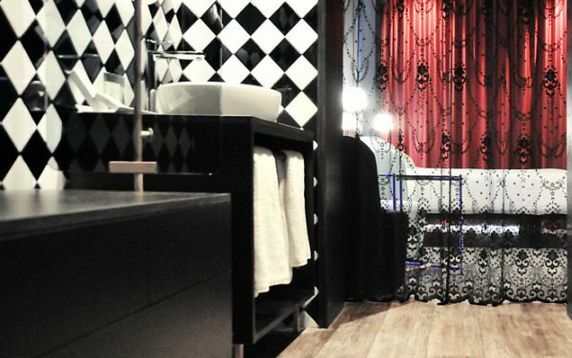 MyGayGetaway also loves the location of this property. 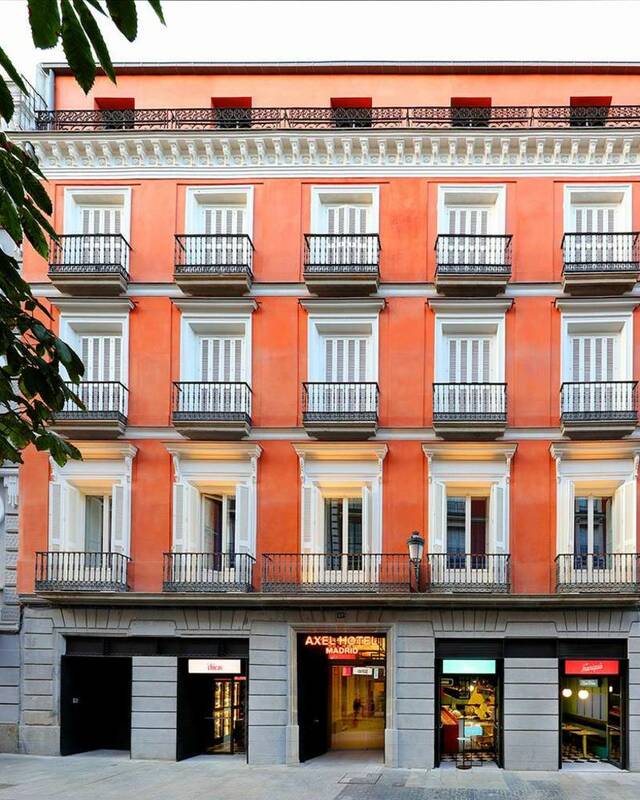 Just a quick walk to Gran Via yet not in the tightness of gay Chueca Square. 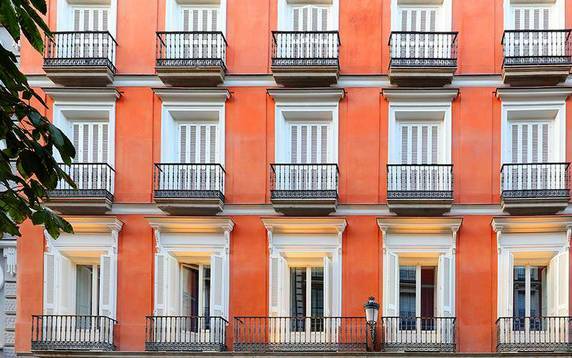 We like the street and the neighborhood. 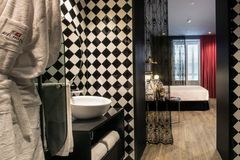 This property is special. 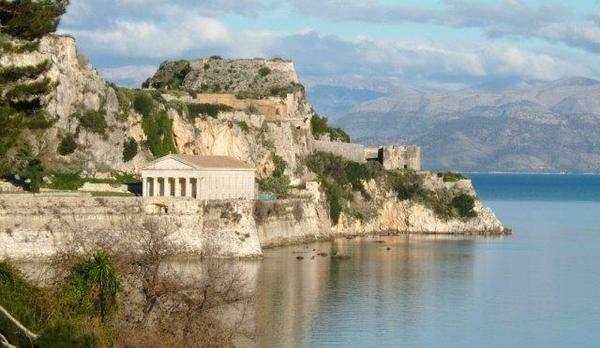 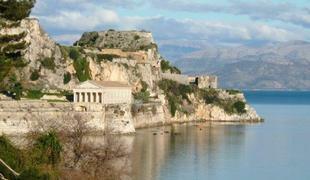 We recommend the suites here if they are available! 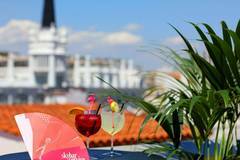 Escape the hustle and bustle of the city for a while by ascending to the Sky Bar, where you can take in fantastic views while enjoying the buzzing Axel atmosphere from on high. 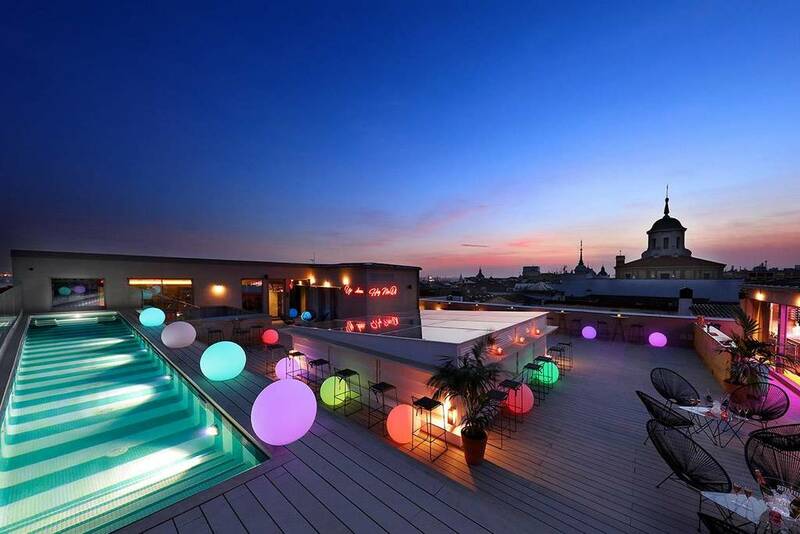 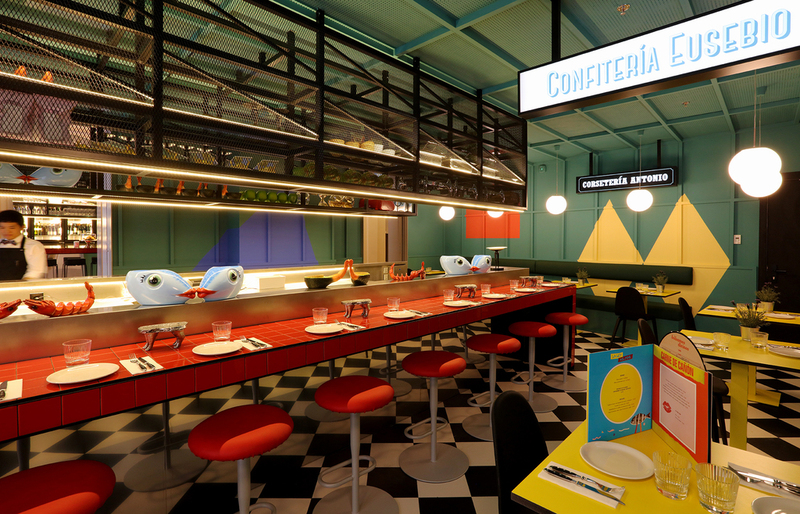 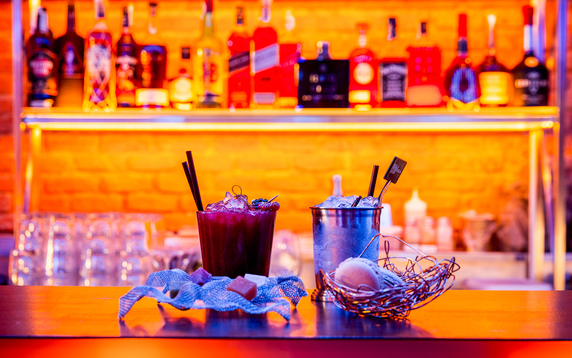 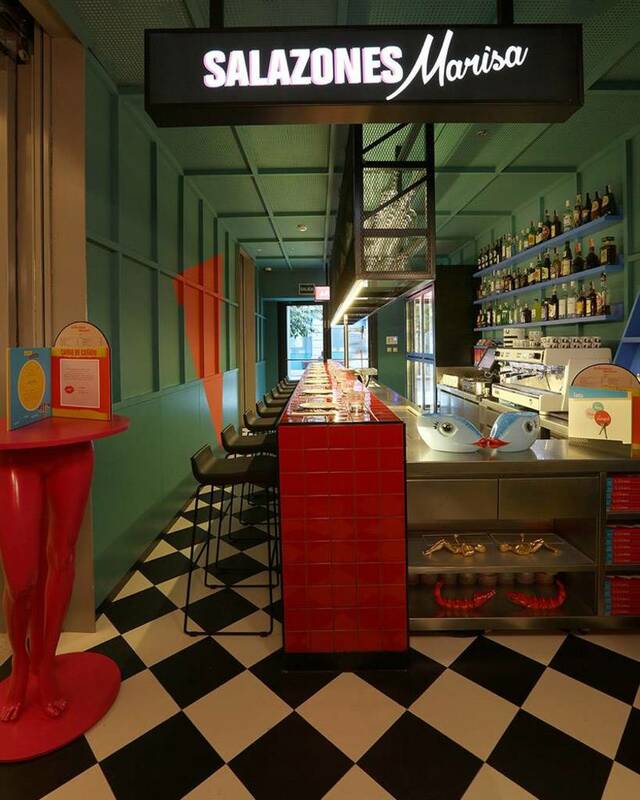 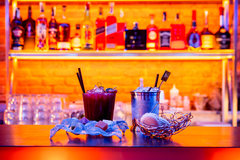 Enjoy our tantalising cocktails and surround yourself with the most alternative and stylish crowd in gay Madrid. 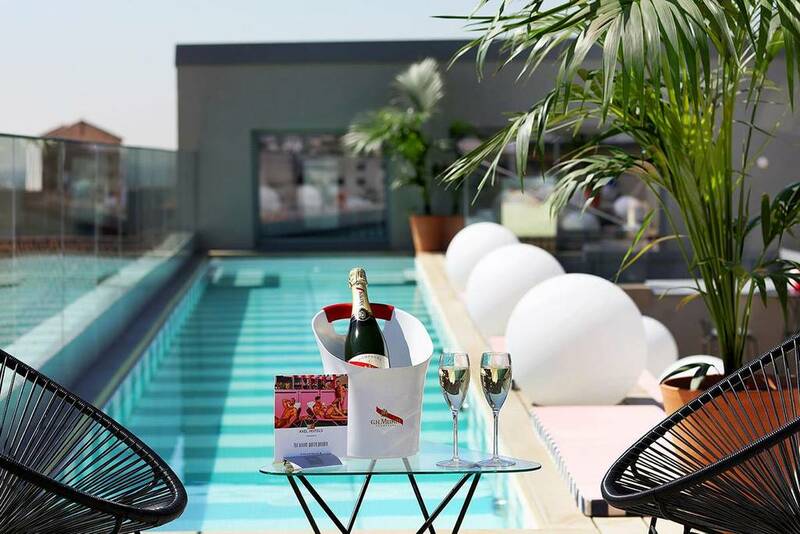 Stretch out and sunbathe on the loungers during the day and take a dip in the pool when the weather's at its hottest even in winter with its heated water. 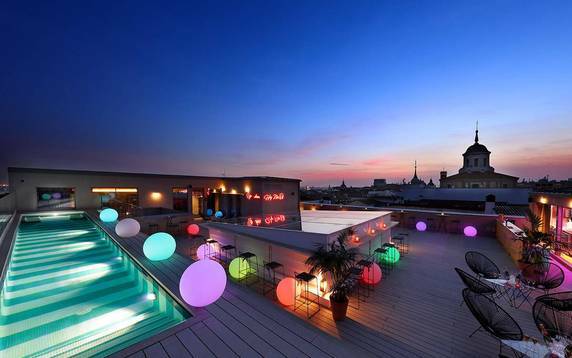 And when the night falls, that's when the fun begins! 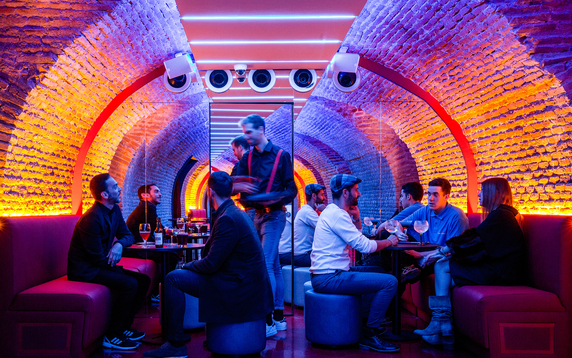 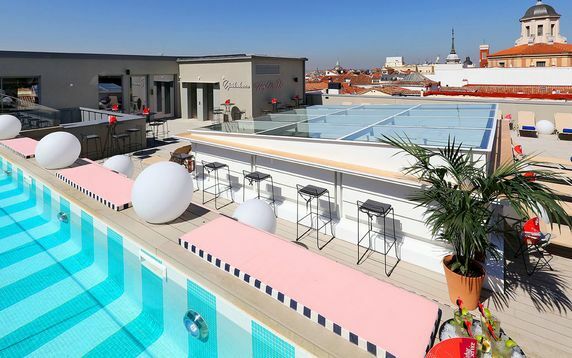 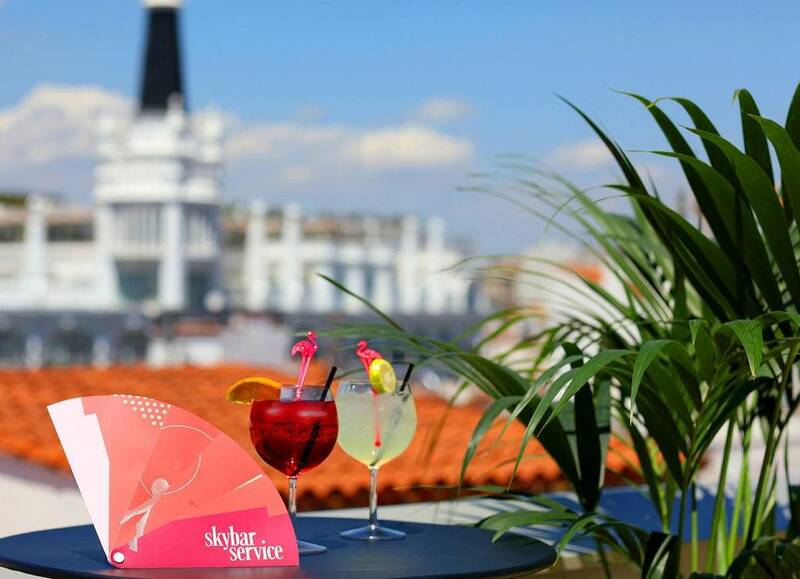 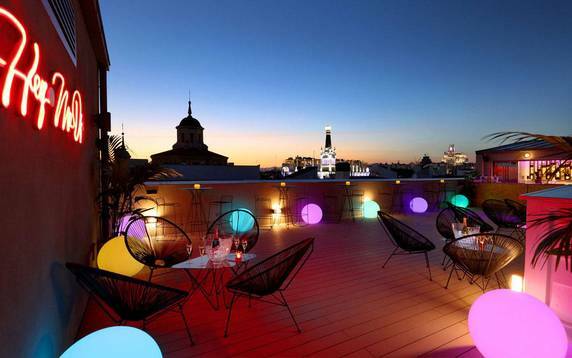 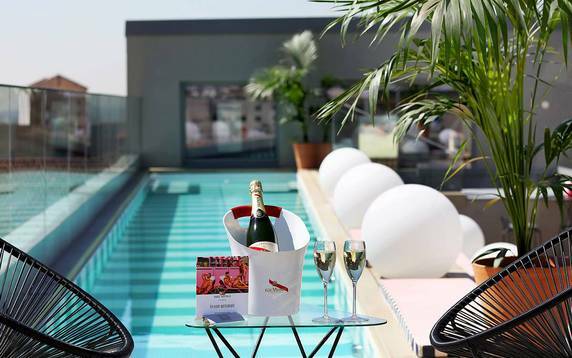 Sky Bar transforms into a trendy meeting point where you can enjoy unrivalled drinks right in the heart of Madrid, while listening to great music and surrounding yourself with the most sophisticated people in town. 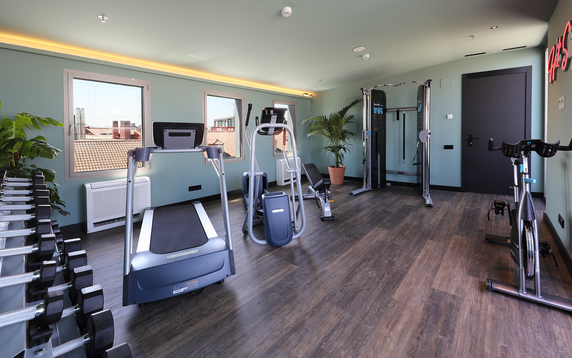 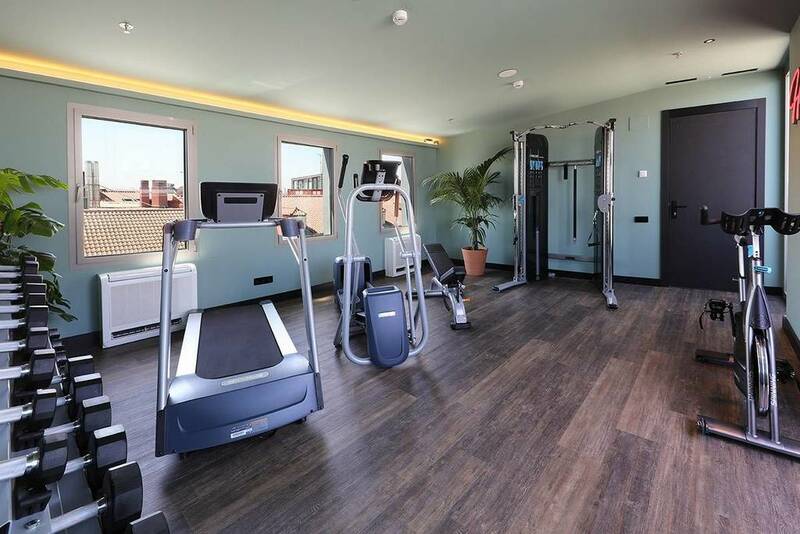 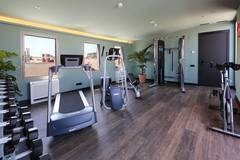 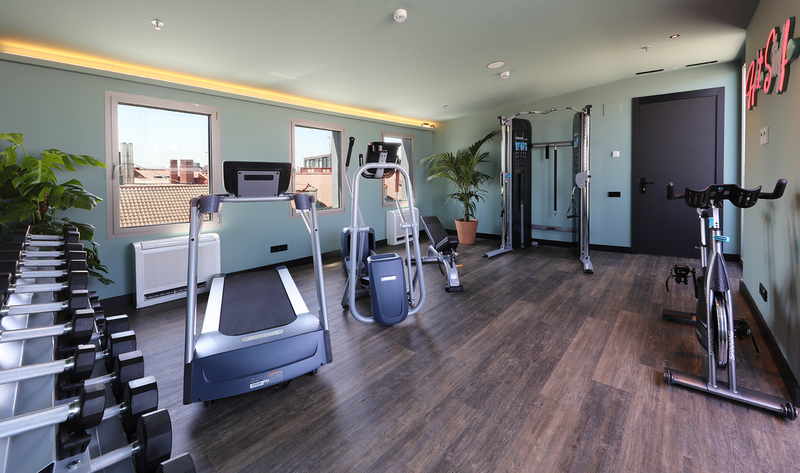 Also, you can enjoy the Axel Wellness during your stay and we'll personalise your moment of relaxation high up on our rooftop terrace, where you can enjoy magnificent views, a jacuzzi and a pool while you work out. 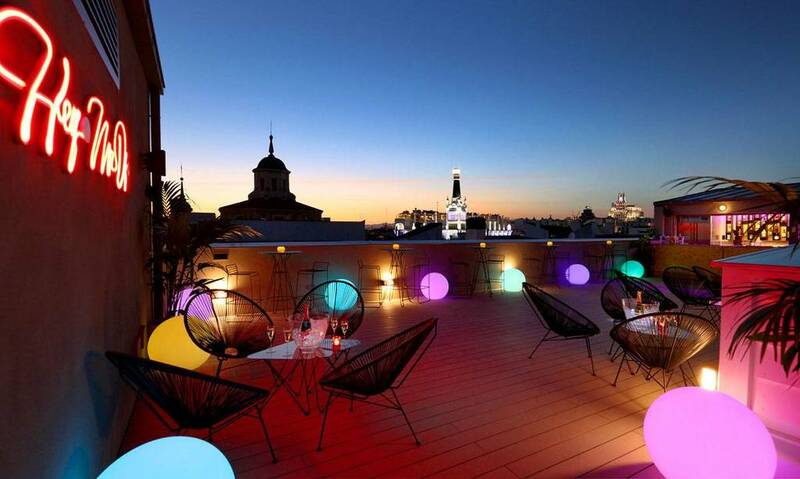 When the sun goes down be ready to feel the freedom and creativity in our urban cave Bala Perdida Club, under Axel Hotel Madrid, where delights in the form of cocktails, snacks and music make for revelry during after-work and late-night hours. 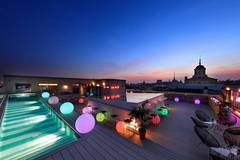 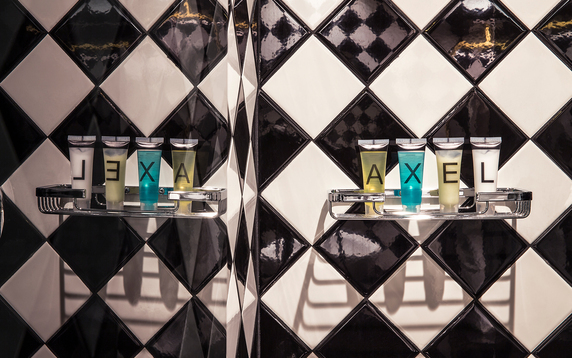 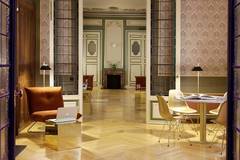 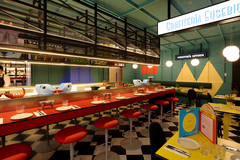 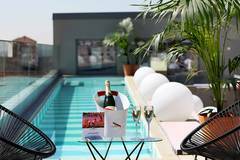 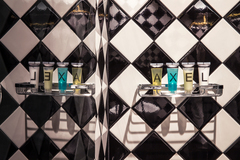 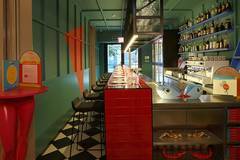 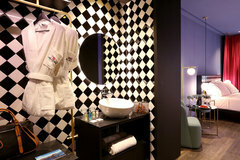 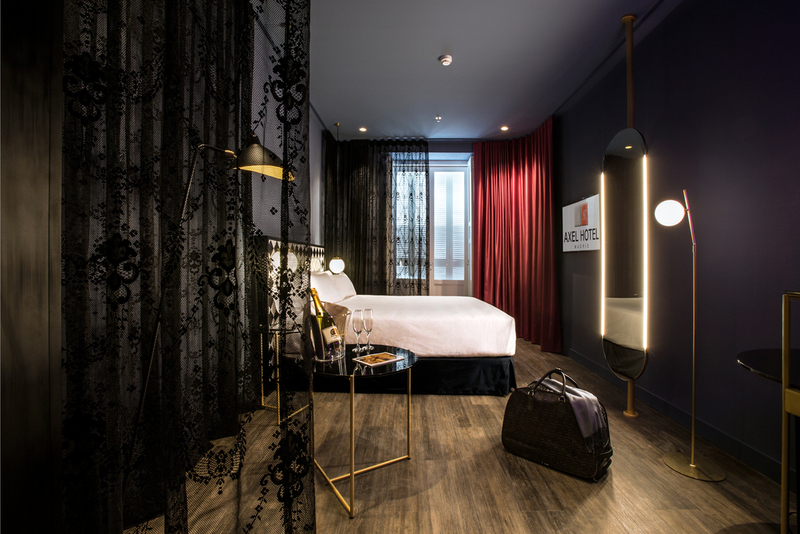 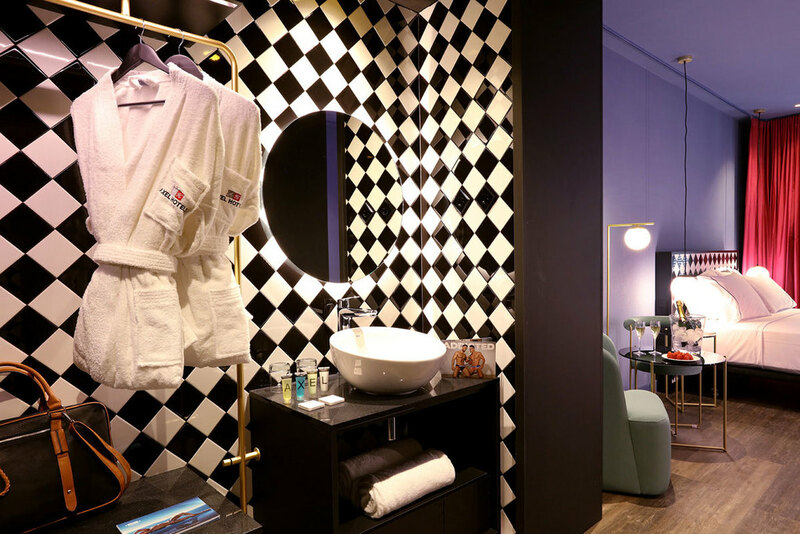 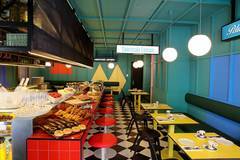 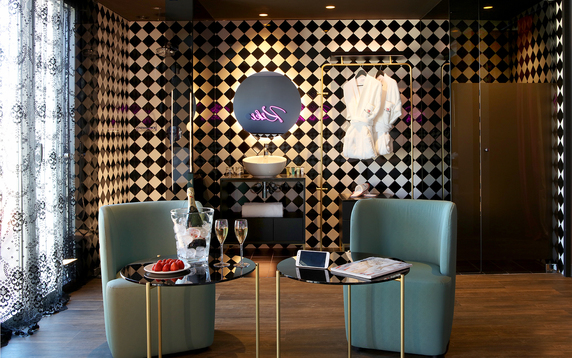 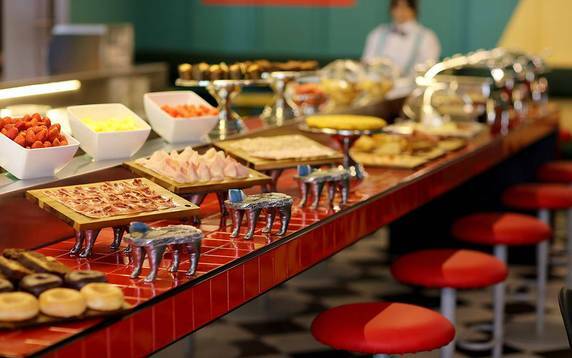 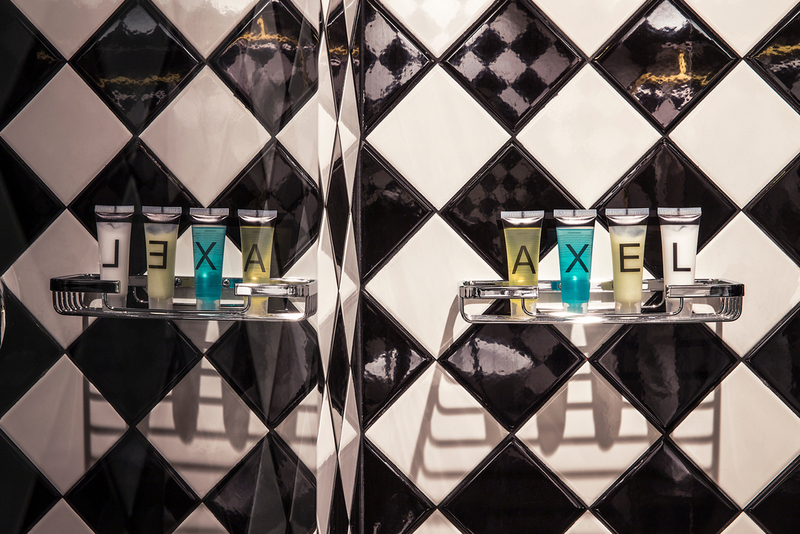 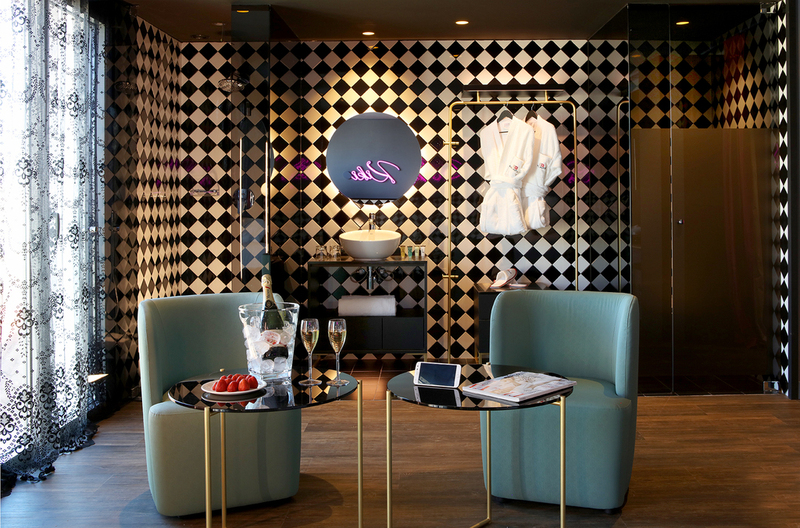 Axel Hotel Madrid is one of the most avant-garde showpieces of Axel Hotels. 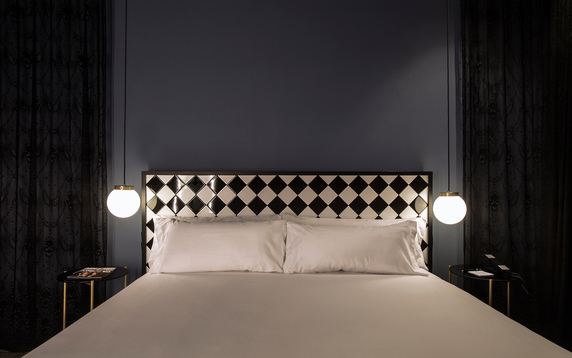 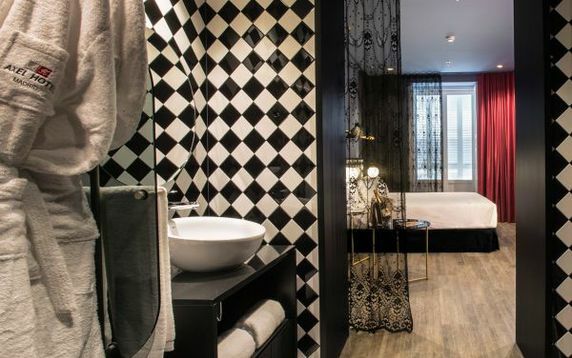 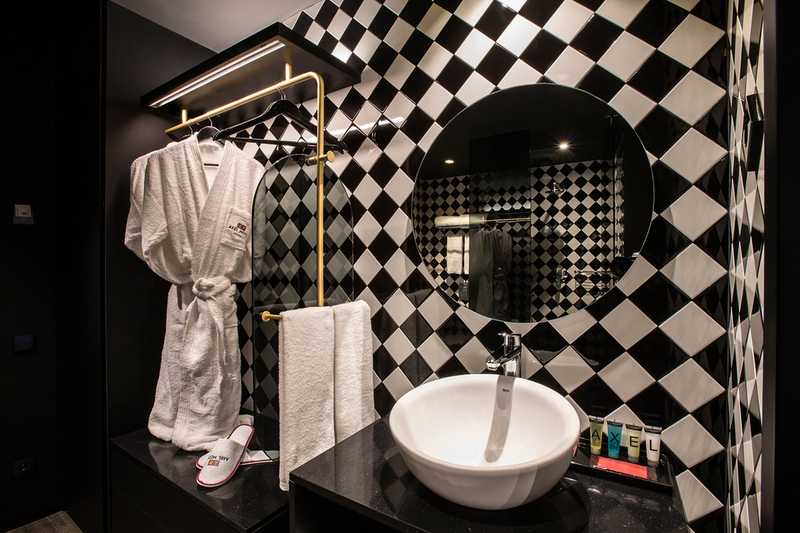 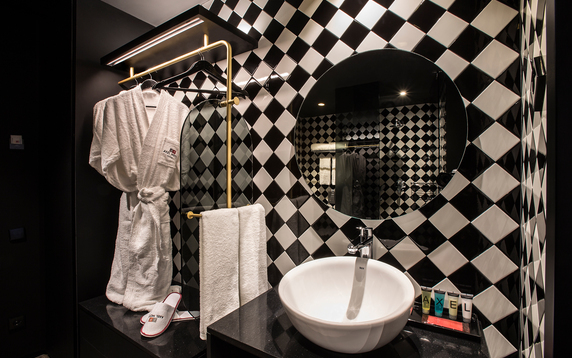 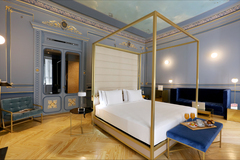 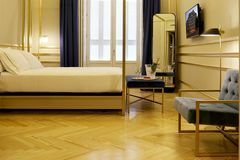 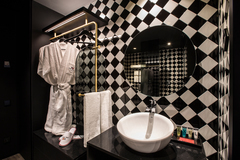 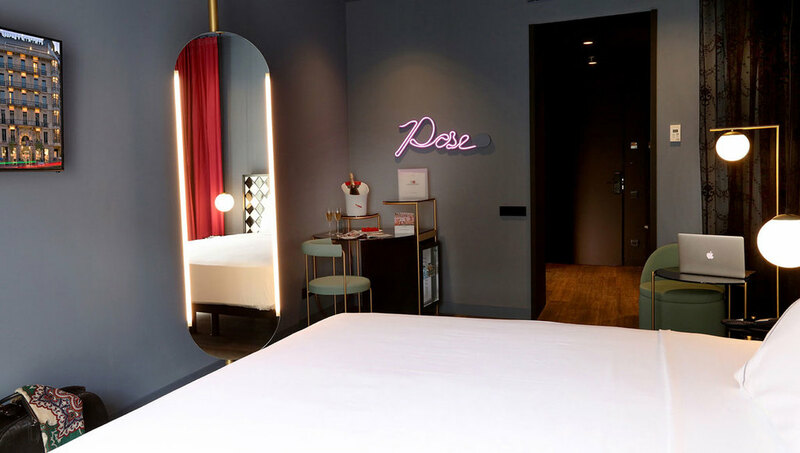 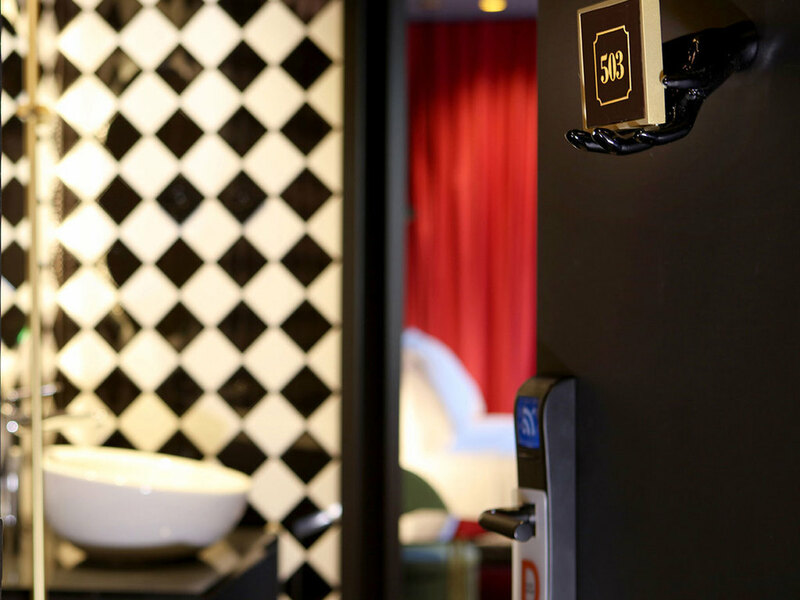 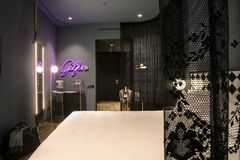 Its 88 spectacular rooms have been furnished and decorated with an avant-garde, modern and fun interior inspired by the sociocultural movement which took place in Madrid in the 1980s, the Madrilenian Scene, allowing you to enjoy your stay in the capital with the utmost style and comfort. 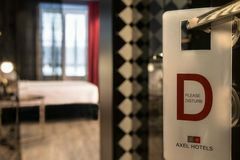 All the rooms have comfortable king- or queen-size beds, a flat-screen TV, a safe, a minibar, a hairdryer, free Wi-Fi and Axel amenities. 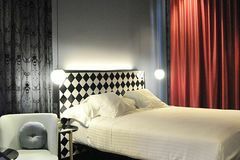 Interior standard room with twin beds or queen-size bed. 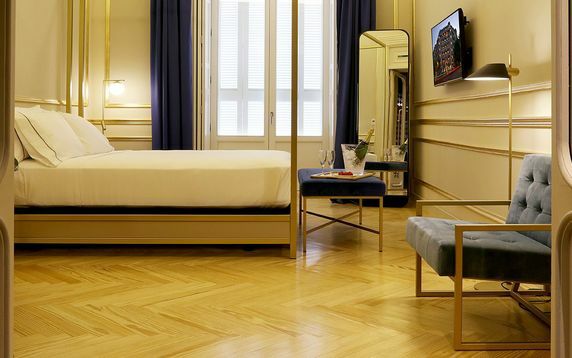 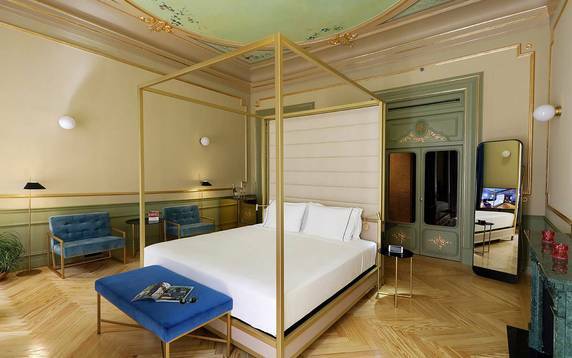 Superior room with a queen-size bed and terrace or balcony. 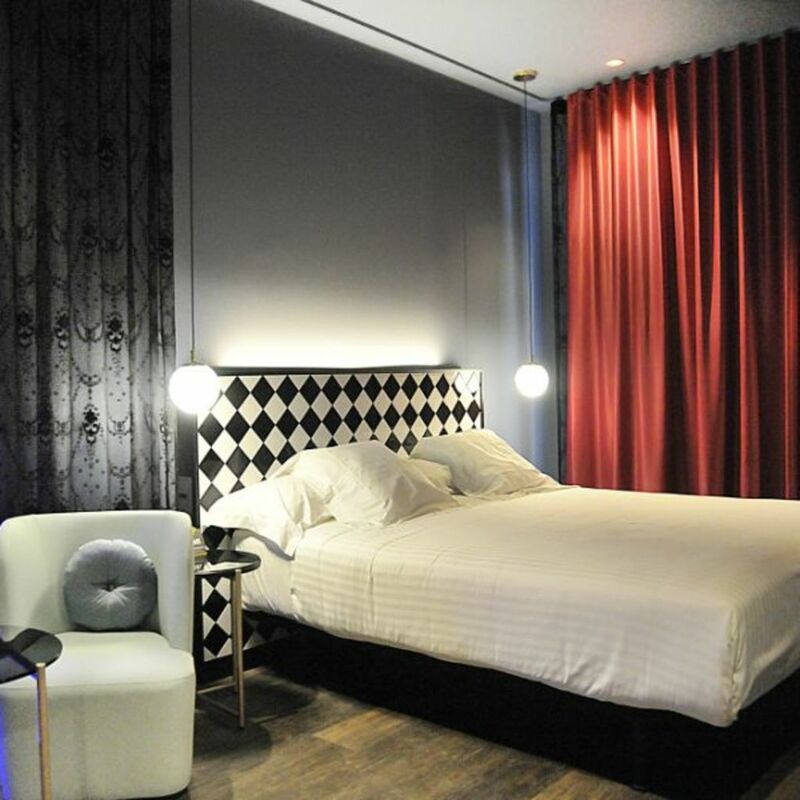 Interior standard room with living room and queen-size bed. 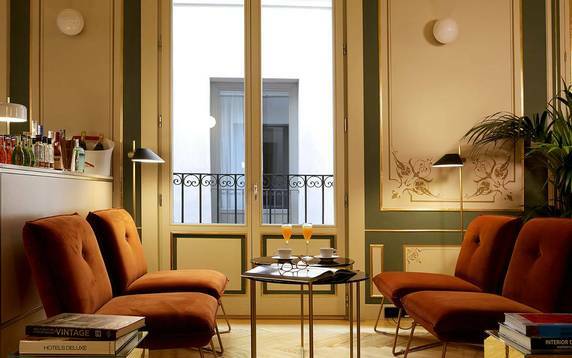 Welcoming suites with a living room, comfortable king-size beds and balcony. 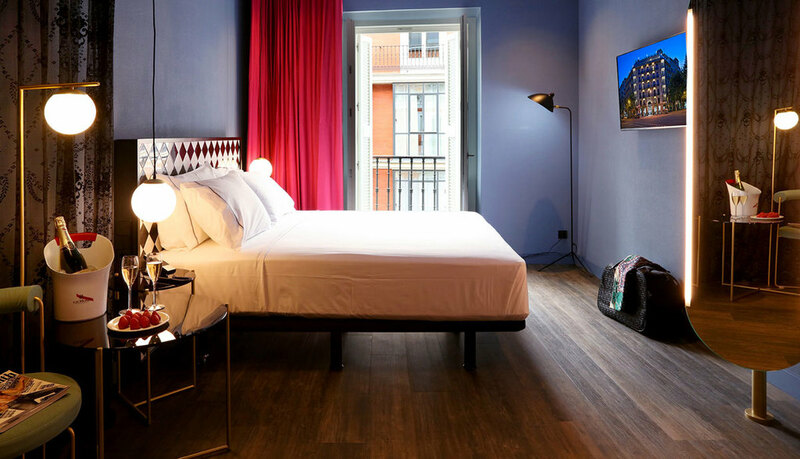 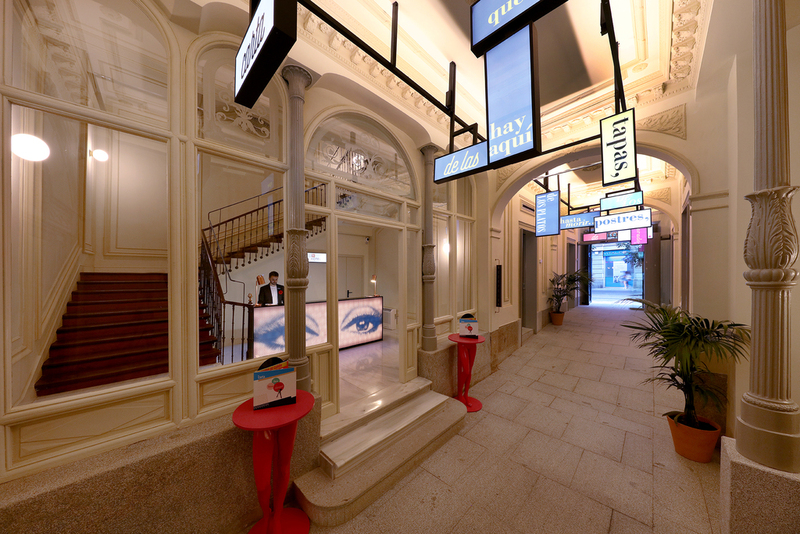 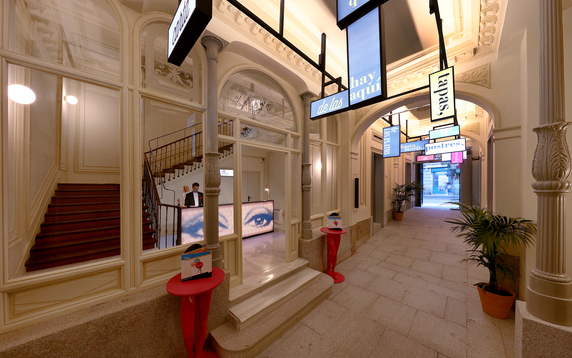 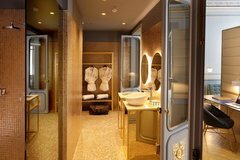 Come and discover our unique rooms in the heart of Madrid!